It is important to raise awareness amongst employers of what people with learning disabilities can do within the workplace and challenge attitudes. Job coaches provide valuable support for people with learning disabilities and their work should be better recognised and supported. Recruitment processes are not accessible for people with learning disabilities and the support provided is often unhelpful. Support the provision of supported employment services and ensure people with learning disabilities are considered when their effectiveness is being evaluated. Challenge attitudes amongst parents, schools, colleges and employers about supported employment services and the potential of people with a learning disability to succeed in the workplace, with targeted awareness raising activity. Gather data more effectively and invest funding, so people with learning disabilities in Scotland can secure both employment and support to develop in their job. This should include ensuring that people with a learning disability are visible in data collected by employment programmes in Scotland. Ensure that the needs of people with learning disabilities are reflected within the new models of support being delivered by the Disability Employment Action Plan, including support to employers through the new Public Social Partnership and in awareness raising to promote the positive business case for employing disabled people. Undertake a review in 2019 of Supported Employment provision across Scotland, and consider the need to build on the existing service offer through local authorities and Fair Start Scotland, the devolved employment service. Building on the Seven Principles of Good Transitions, and broader recommendations received from sector experts, disabled young people and their families and carers, work across government to improve transitions into education, learning and work for young people with a learning disability. COPE Ltd is social enterprise and charity which provides employment and skills development for adults with learning disabilities or autism spectrum disorders. They are committed to giving people with disabilities the opportunity to participate in a supportive and inclusive work environment, free from stigma and discrimination. 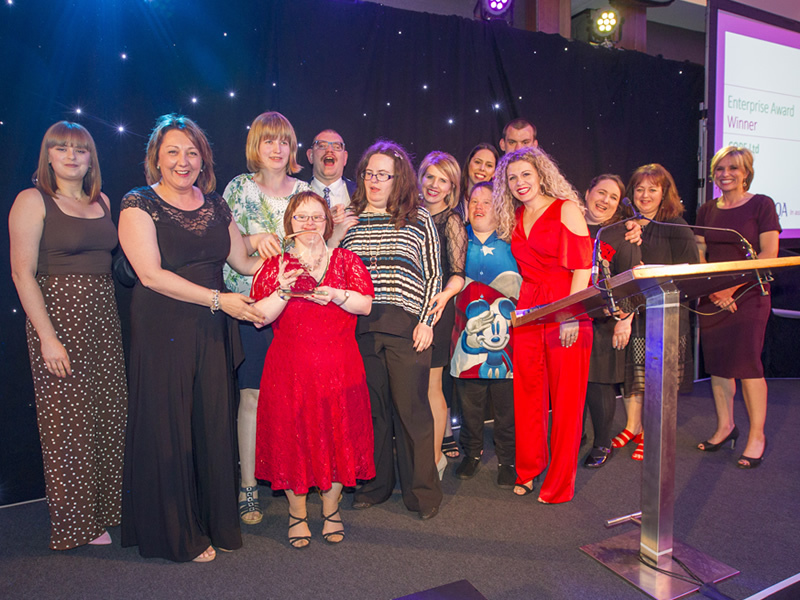 COPE Ltd’s ongoing success is supported by its team of people with learning disabilities, who every day produce, promote and sell a wide range of items through different business outlets. Eddie McGinlay works as a Kitchen Porter at Haggs Castle Golf Club. Eddie secured his position through a work trial, which he found more accessible and comfortable than an interview process. The work trial was negotiated by his job coach at the Glasgow Supported Employment Service, who provided subsequent support. Eddie’s job has allowed him to make new friends, do more socialising and improve his confidence. 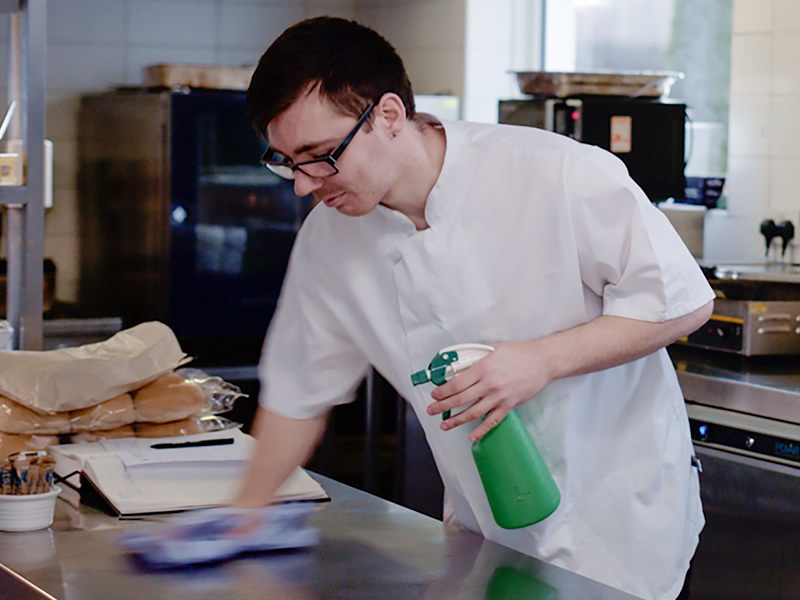 His employers have spoken positively of the experience and would encourage other businesses of their type to employ people with learning disabilities.